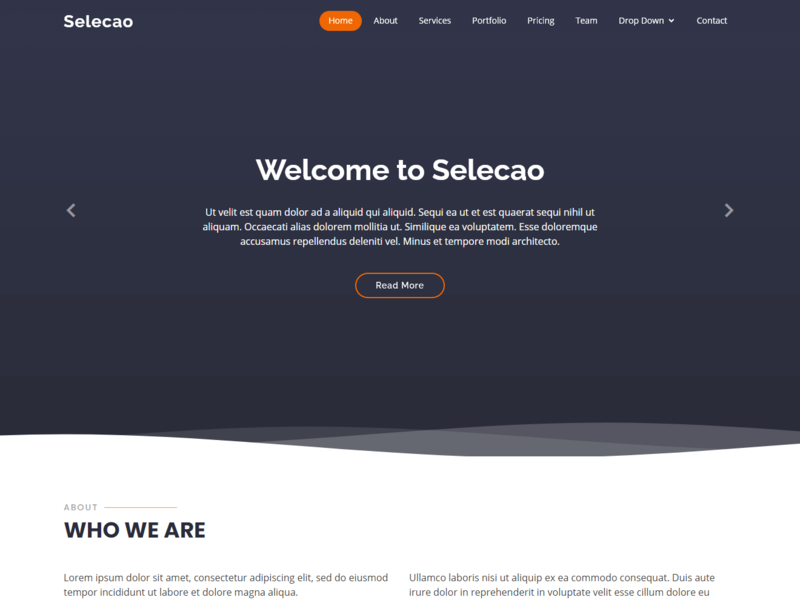 Selecao is a creative and responsive HTML template created with Bootstrap. You can use it to quickly represent your company or business and list your portfolio. Designed to be used as one page website. The pro version also comes with a working PHP/Ajax contact form script.